It's always fun trying out something new especially for your hair, be it colour, straightening or perming. However, all these also means chemicals and heat in touch directly with your hair, which leads to dry, frizzy and damaged hair. 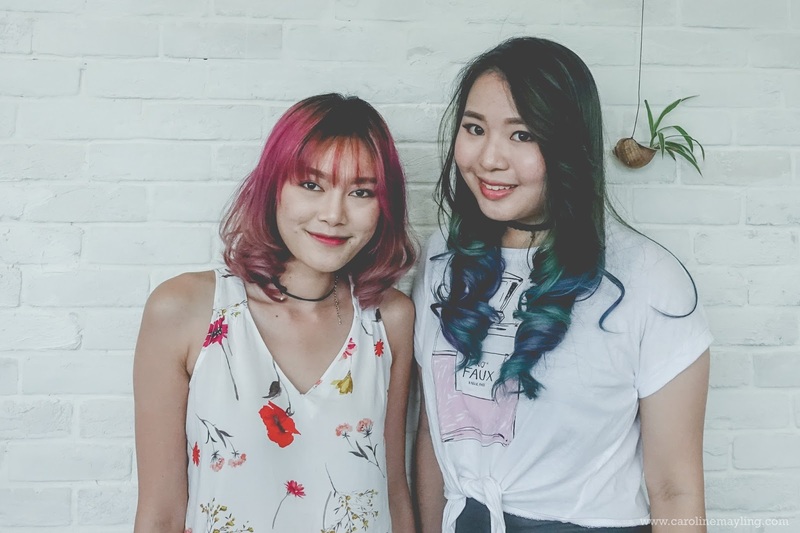 My friends always know how often my hair colour changes month after month, I love it and they love it too, and heck I often got compliments from strangers too! Each time they see me, there's always that ONE concern from them about my hair - your hair must be super damaged by now! To their surprise, my hair actually still in such healthy state that lead to another question from them - how do you even take care of your hair?! 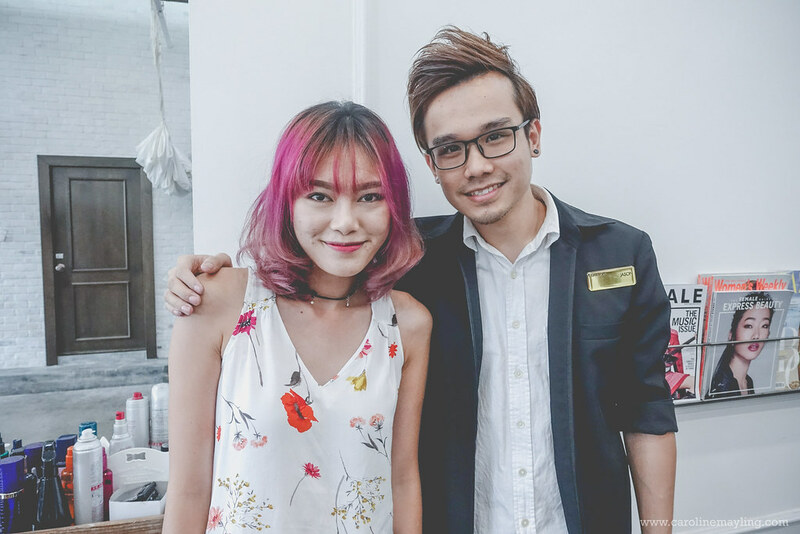 I always trust the Number76 when it comes to cutting, styling, colouring and of course taking care of my hair. I mean, they have amazing hairstylists and these people know what they are doing. Not only that, Number76 also always look out for better treatment that can combat with different types of hair condition. It's safe to say that they are also always in the know of latest technology and best hair care for their customers too! 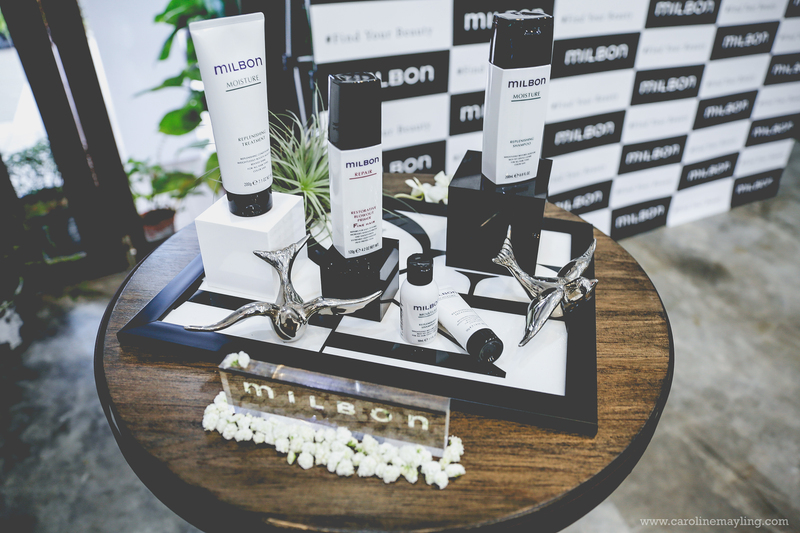 With that being said, now you can enjoy the new Global Hair Care Brand "milbon" treatment in all Number76 outlets! 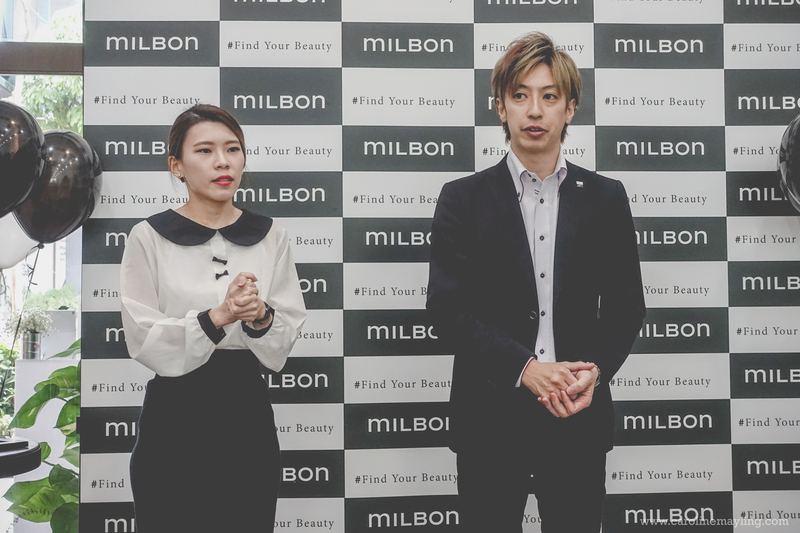 Global Hair Care Brand "milbon" is birthed from five decades of cutting-edge research to specifically repair never-before-seen parts of your hair. It works to repair hair from inside out with this ground-breaking ingredient - SSVR-SilkTM. It is a powerful, silk-based complex that supersedes hollow tubular gaps that form in chemically-treated hair - which seem to contribute to the loss of shine, split ends and breakage - to enhance hair's overall integrity from deep within. 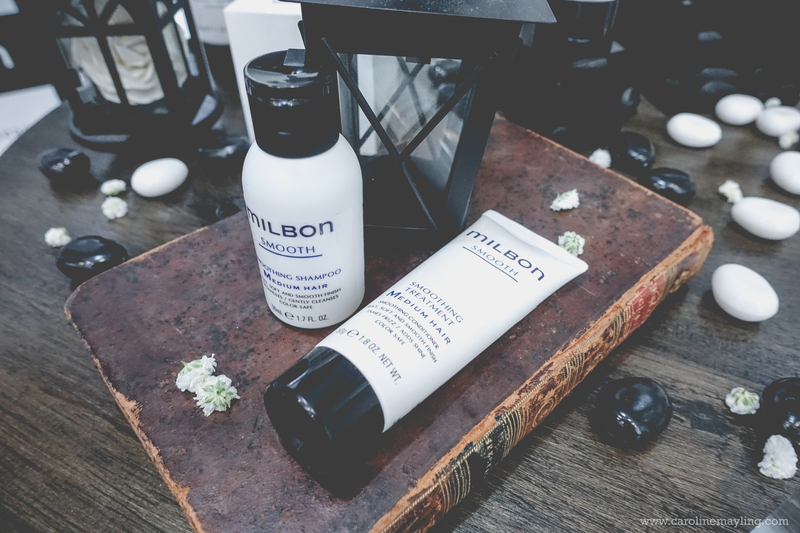 GLOBAL HAIR CARE BRAND "milbon" SMOOTH TREATMENT - An exclusive in-salon hair treatment power-packed with SSVR-SilkTM to intensively improve hair condition and boost natural lustre from inside out. Detangle and smooth. This smoothing collection improves overall texture, leaving every strand feeling silky – smooth and soft. Available in 3 formulas for fine, medium and coarse hair. Featuring a lightweight Restorative Blowout Primer that repairs severely damaged and over-processed hair while enhancing blowout results. To be applied on towel-dried hair. Similar to the existing milbon treatment that I've tried in Number76, this treatment also requires 3 steps for the whole process. It's true that our hair is supposed to feel silky smooth after wash and treatment. However, this particular treatment pretty much blows me away with its result. Compare to all my previous hair condition, imagine my current one with almost entire hair bleached is supposedly dry and frizzy, totally revived after one treatment session! It feels extremely soft than usual, with shine and looking super healthy, I'm impressed! Thanks Jason and Sato-san for taking care of my hair! Global Hair Care Brand “milbon” Smooth Treatment and Hair Care Collections is available in Number76 Hair Salon from 15 October 2016 onwards. 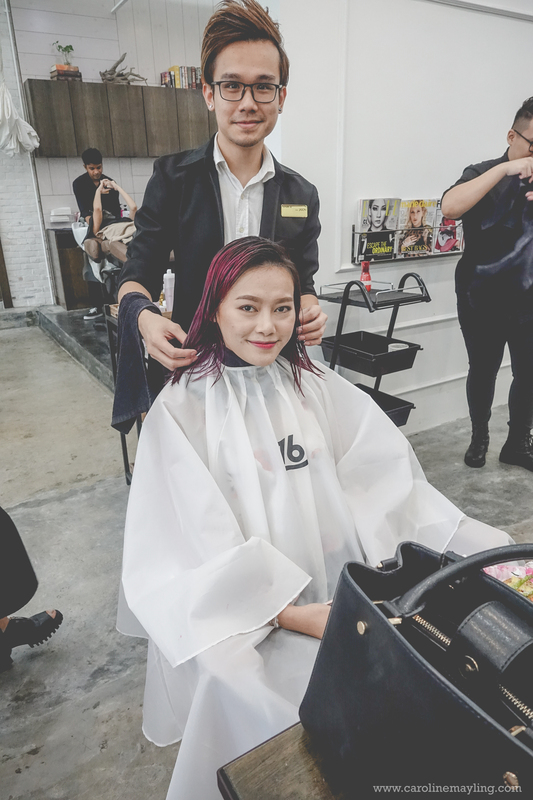 The service is priced at RM190, including wash & blow dry, at Number76 Hair Salon.Bookings for services can be made online at www.number76.com.